MERRY CHRISTMAS, EVERYONE! 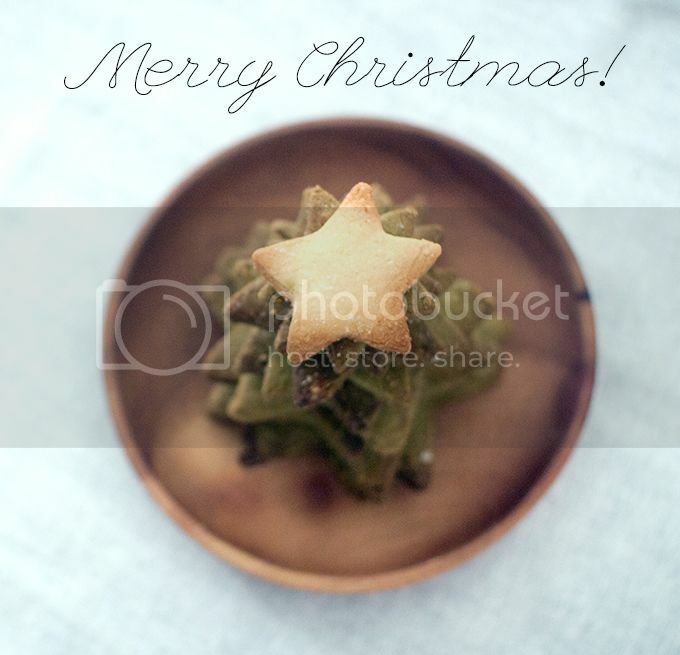 :D Here's wishing you guys a very belated Merry Xmas. December has just come and gone in practically the blink of an eye! It's been a tiring, busy busy month but you know what? It's been punctuated with so many fun moments - lots and lots of GOOD FOOD with friends and family... as much baking as I could sneak into my schedule without feeling overly guilty about not spending that same time studying...meeting up with people who've come back from overseas for holidays...and just feeling Xmassy and happy all round whenever I look at the decorations at Orchard Road or listen to the Xmas songs that are on a loop at the supermarket whenever I hop in for grocery shopping. :D It's all the small things that add up to a nice Christmassy feel. Can't quite believe that it's over already :( BUT on the bright side, there are many more Christmasses to look forward to AND one can never stay too sad about the passing of Xmas and the New Year because there's always Chinese New Year to look forward to! In fact, I wouldn't mind celebrating as many holidays as possible because then there'd always be something to look forward to. One of the things I love most about SG would have to be the number of public holidays contributed by the different racial groups. Moaaaarrr please. Ta-dah! 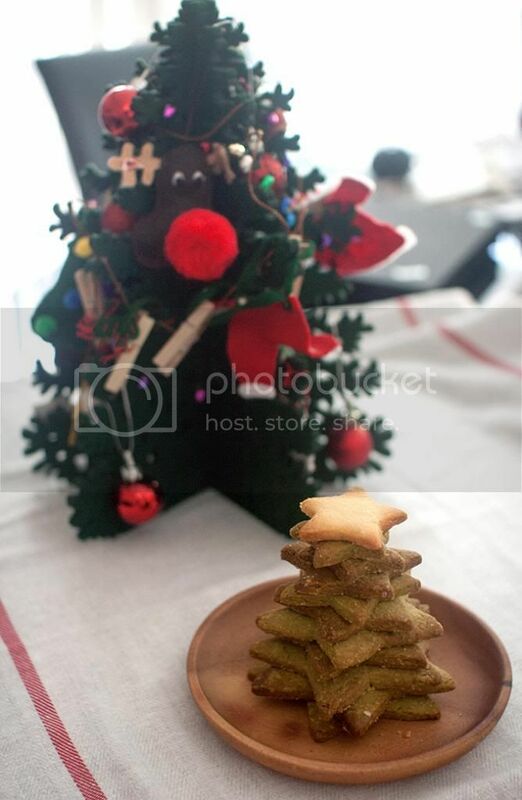 :) It's a mini shortbread cookie Xmas tree! I ended up giving this to my Secret Santee (if there's such a word) as part of her present but it's pretty good to bake for any Xmas party as an edible piece of decoration. Drizzling them with melted chocolate! :D This was the first time I tried it out and though it was rather messy, I like how it turned out semi-artistic...in a rather haphazard manner. 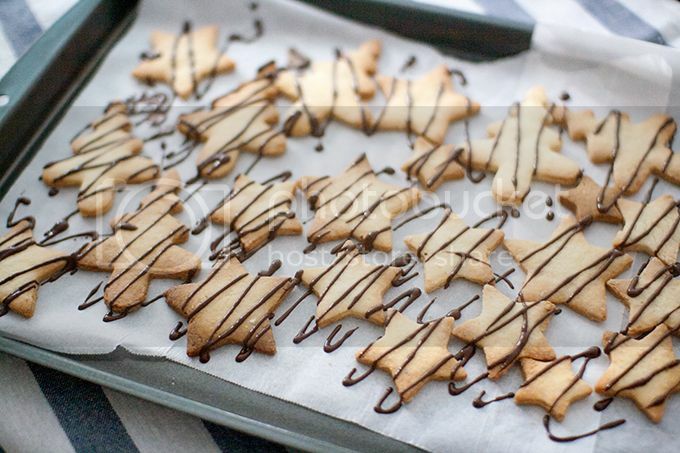 HERE'S the recipe for the shortbread cookies! It's almost the same one that I used for THESE MATCHA COOKIES awhile back but I had to edit the portion regarding the flour because it was really getting out of hand with the original proportions (way too little in my opinion). 1. In a medium mixing-bowl, cream together the butter and confectioner's sugar with a spatula. Add the egg yolk and mix it in thoroughly. 2. In another bowl, combine the flour, salt and ground almonds and stir with a whisk to remove any lumps. Add to the first bowl and stir it in until the mixture comes together to form a ball; don't overwork the dough. Lightly shape the dough into a ball. Wrap in cling film and place in the freezer to firm up for 40 minutes (or in the fridge for 2 hours). 3. Preheat the oven to 180° C (360° F) and line a baking sheet with parchment paper. Roll out the dough on a well-floured surface till about 1/4 inch thick (it's easier to remove from the cookie cutter if it's thicker), adding flour to firm up the dough when necessary. 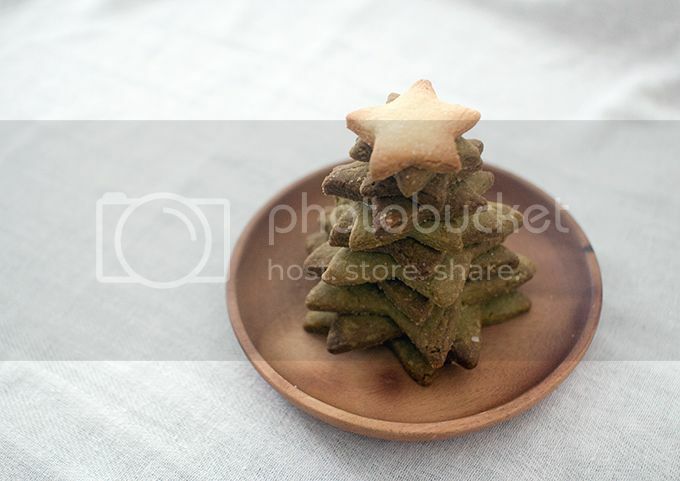 Cut out your cookies with desired cookie cutter and place on parchment paper, about 1.2 inch apart. 4. Slip into the oven and bake for 12 minutes, or until the cookies just begin to turn golden at the edges. Let rest for 5 minutes on the baking sheet before transferring to a rack to cool completely. For the drizzled chocolate effect: It's really simple! Roughly estimate how much chocolate you'd like on your cookies. Since for the pattern I wanted I just needed a teeny bit of melted chocolate on each cookie, I didn't need to melt very much chocolate. I'd say start with 1/4 to 1/2 cup of semi-sweet chocolate chips/bars and either microwave them (around 1 min for 1 ounce) or heat them over a water bath (bain-marie) until they're melted nicely. Let cool down for awhile till lukewarm (or whatever you're able to handle holding in a ziplock/piping bag) and then pour melted chocolate into a ziplock bag with a tiny portion cut off at the tip. 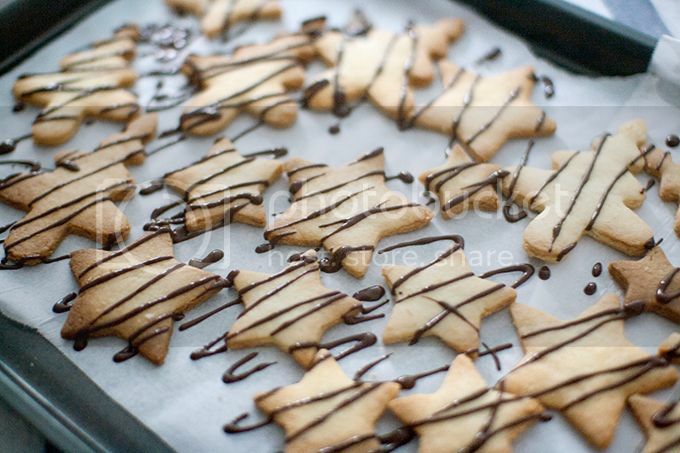 Squeeze the melted chocolate out onto the cookies and just drizzle back and forth. Be sure to line the base of the cookies with baking paper so that it's not too messy! :) Then leave to cool.